This pasta is shaped like grains of barley. It is often used as a bed for sauces or in soups. 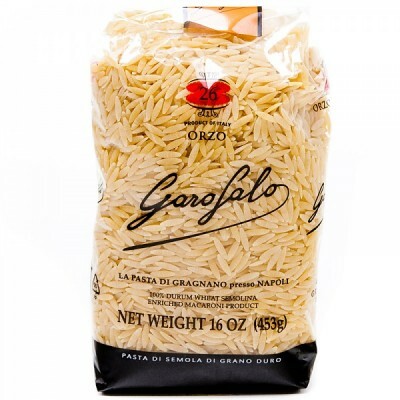 While it was originally made from barley, orzo today is a hard wheat semolina product.